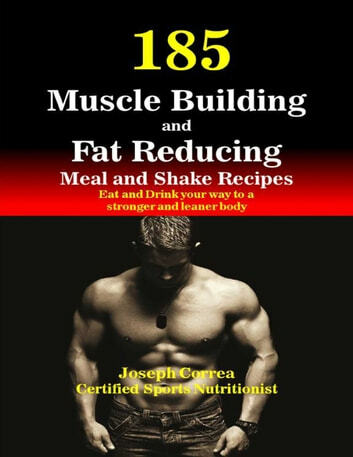 185 Muscle Building and Fat Reducing Meal and Shake Recipes will help you increase the amount of protein you consume to increase muscle mass and reduce the amount of fat stored in your body so that you can have that strong and sculpted body you’ve always wanted. The meal and shakerecipes, along with the calendar, will help you increase muscle mass and cut fat in an accelerated and organized manner so that you can schedule what you eat and when. Make sure you know what you’re eating by preparing it yourself or having someone prepare it for you. 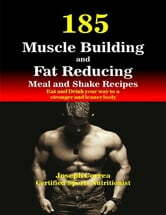 This book will help you to: -Increase muscle mass to look bigger and stronger. - Drop excess fat in your body. -Have more energy during training. -Naturally accelerate Your Metabolism. -Improve how you look and how you feel. Joseph Correa is a certified sports nutritionist and a professional athlete. Peak Performance Meal Recipes for Marathon Runners: Improve Muscle Growth and Drop Excess Fat to Last Longer and Improve Your Time! 85 Meal and Juice Recipes to Lower Your High Blood Pressure: Solve Your Hypertension Problem In 12 Days or Less! Homemade Fruit & Herb Infused Water!